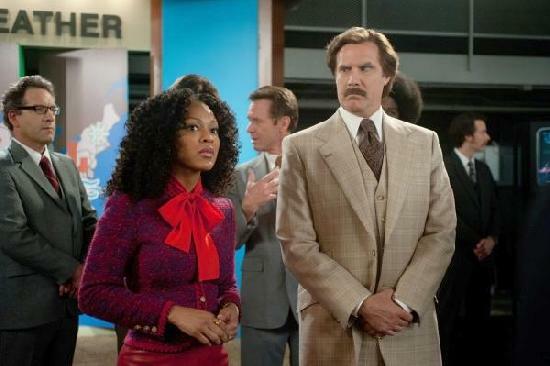 According to the actor, Burgundy will have a new romantic relationship on his hands in “Anchorman 2: The Legend Continues” as well as the company of returning castmates Steve Carell, Christina Applegate, Paul Rudd, and David Koechner. “We just kept thinking of different scenarios,” Ferrell said. “One of the ideas was what if Ron has an African-American girlfriend? That would be interesting commentary, as well as funny,” Ferrell told theGrio.com, regarding the pressure to successfully follow the first film as well as the inclusion of an interracial relationship for the popular newscaster. Diversity is not only an issue on the big screen, but also at Ferrell’s old stomping grounds, Saturday Night Live. In recent weeks, the show, which included a seven- season stint for Farrell, has come under fire for the lack of an African-American female not ready for primetime player. SNL executive producer Lorne Michaels stated in a recent interview with the New York Times, that he had committed to adding a black, female cast member to the NBC show by January 2014. Despite all the criticism, Ferrell is confident in Michael’s ability to fill the much-needed void. Previous ArticleWhy is Nate Hill Wearing a Naked White Woman Around His Neck?